Greater Well Be1ng | Empower greater well-being with facts. I found variations of an ancient breathing technique that claims to offer many beneficial health benefits, some of which are listed below. When you consider the assault we are under http://cosmicconvergence.org/?p=29174 it is wise to seek natural ways to try and help our body cope. 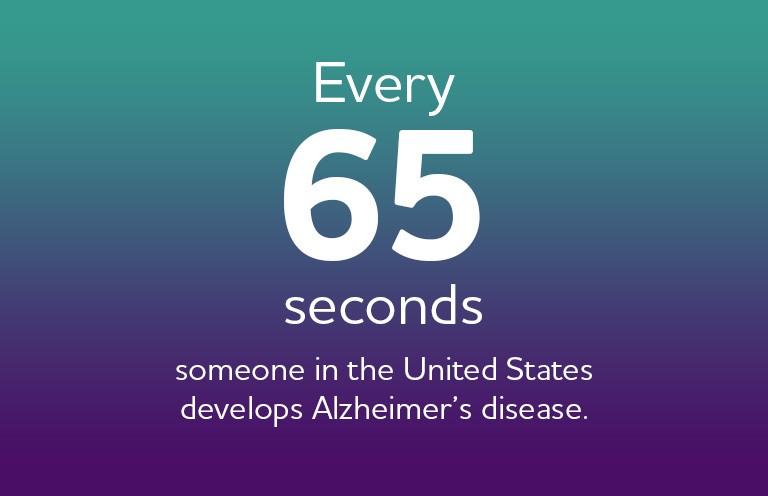 Alzheimer’s disease and other dementia affect 47 million people worldwide and the situation can only get worse…if we fail to act to ‘prevent’ the disease first rather than to cure it. Microwaving through the use of HAARP and wi-fi technology increase the leakiness of the blood brain barrier… allowing more of the aluminum, barium and other toxic ingredients of the chemtrail cocktail into the brain. Bhramari should be practiced in a straight sitting position. It should not be practiced by pregnant or menstruating women. It is also contraindicated for individuals with extremely high blood pressure, epilepsy, chest pain, or an active ear infection. Nitric oxide completely restored the health, integrity, elasticity and function of arterial skin, the endothelium lining of arteries where we get problems, and plaque can build up, so it was really important for the repair and healing of that. It boosts mitochondrial energy which means your energy. Increases the blood flow and viscosity of the blood. It increases insulin sensitivity, makes your cells more sensitive to insulin so you don’t have to amp up insulin levels and therefore supports healthy blood Pressure. It lowers your blood pressure. It increases better intestinal Paracelsus, and contraction of your stomach, and your intestinal tract for better digestion and better elimination, which is really also important. It increases the production of antioxidants like superoxide dismutase, and glutathione in your liver, which does the cleansing and scrubbing and the repair of all the damaging kind of chemicals that our liver has to contend with every single day. In 2005, without public notice or opportunity for comment, the USDA unilaterally began allowing the certification of hydroponic (soil-less) operations, bypassing the National Organic Standards Board’s (NOSB) input. In-stead the USDA stated that they are leaving the decision up to the ACAs. Many organic industry stakeholders and longtime observers have questioned the legality of this decision. March 2019, after a root canal tooth was diagnosed as abscessed, I was referred to an endodontist for surgery to clean the tooth cavity. It was made clear to me that surgery did not guarantee the infection would not return, thus began my research into root canals, and awareness of their debilitating impact on organs, glands, and joints in the human body. J Mercola: If extraction proves necessary for anyone reading this, do you want to summarize what’s special about the extraction technique? G Meinig: Just pulling the tooth is not enough when removal proves necessary. Dr. Price found bacteria in the tissues and bone just adjacent to the tooth’s root. So, we now recommend slow-speed drilling with a burr, to remove one millimeter of the entire bony socket. The purpose is to remove the periodontal ligament (which is always infected with toxins produced by Streptococcus bacteria living in the dentin tubules) and the first millimeter of bone that lines the socket (which is usually infected). Just so you know. Digital ‘watchers’ are quick to censor facts by disabling videos. They disable spell check, skew text size, text placement and spacing, etc. to discredit authors attempting to publish the truth. If you know people with root canals please share the information for them to educate themselves, and so they can copy and paste the PROTOCOL to discuss with their dentist, if they so choose. Thank you. British physicist, Dr. Barrie Trower is a former Microwave Weapons Expert for the Royal Navy, and former cold-war captured spy de-briefer for UK Intelligence Services. Dr. Trower is a whistle-blower who lectures globally on the hidden dangers from microwave weapons and every-day microwave technologies such as mobile-phones and Wi-Fi. Tooth implants have become all the rage over the past few years, especially as the baby boomers begin to age and lose their teeth. Dentistry has always been extremely adept at capitalizing on our desire to have a nice smile and perfect looking teeth. This is where the true problem lies. Our inordinate and overriding desire to have a mouth full of white shiny teeth has produced the greatest health calamity in the history of Western civilization. That’s a very serious statement, and yet entirely true. The tooth implant is just another highly dubious dental procedure which has contributed to this ongoing systemic health crisis. How so? First of all, more and more people, like the aging baby boomers, are opting for this thoroughly cosmetic approach when they start losing their teeth. When you are older, the body does not heal as quickly, nor as completely as it ought to for a tooth implant to really set well in the mouth. This is why various physical issues start to emerge. The surgery required to excavate the tooth socket is quite invasive, like all oral surgery. If oral health is in any way compromised, as it often is, post surgical complications will arise, as they often do. The primary complication is known as a tooth implant infection, which will always impede the process of proper seating of the implant. The original infection can also migrate over to the two contiguous teeth sockets and cause those teeth to have problems, especially when they’ve already been undermined by previous dental procedures and/or dental materials, which is very common. In many cases these tooth implant infections are low-grade infections and therefore frequently sub-clinical in nature. Consequently, they often go undiagnosed by the dentist and sit in the jawbone for the entire life of the implant, just like the focal infections which ALWAYS occur with root canals. So, the big question for the Boomers and Beatniks among us is do we want to risk these infections in our retirement years for the sake of having a pretty smile. A smile which is only going do be more difficult to maintain as we lose teeth for a number of reasons associated with aging. 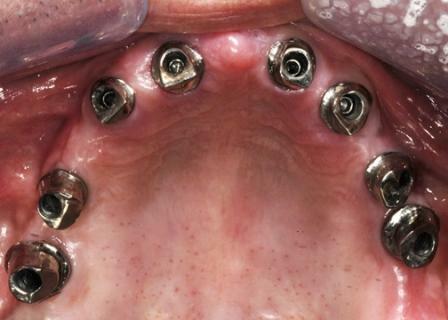 Do we really want this metal screw in our mouth for life?! Problem # 2 with teeth implants is that they come in an age of pervasive pollution, degraded food supply, chemical overload and environmental deterioration. This predicament has given rise to an exponential increase in myriad allergies, chemical sensitivities and substance intolerances. Many do not even know they have these issues going on in their bodies 24/7. When a tooth implant is introduced into the mouth of one who has multiple allergies, MCS (Multiple chemical sensitivity) or EI Syndrome Environmental Illness Syndrome, guess what happens? They now have another foreign material in their mouth for their entire lifetime, which their body may very likely struggle to deal with. Many of these low-grade rejections go undetected for decades often causing even healthy individuals to suffer all types of nagging symptoms ranging from CFS (Chronic fatigue syndrome) to brain fog. Don’t think this is where the Boomers and Beatniks among us want to be. Nor the Generation X, Y or Z folks, so you might pay attention to the experience of your parents and grandparents. There are two sources of reactivity with implant materials: (i) the titanium post that is sunk into your jawbone (ii) the white synthetic tooth that sits on top of the post. The metal post can be accepted or rejected by anyone. And an accepted post today may be rejected tomorrow as often occurs. With the total toxic body burden increasing as we age, allergies can literally appear overnight after we have exceeded a specific threshold of exposure to an offending substance. The synthetic tooth on top of the post can be made with a vast number of dental materials which include metal, petroleum derived substances, and various newfangled chemicals. Unless your dentist has performed a fastidious bio-compatibility test, and they rarely do, what may sit in your mouth for a lifetime may be profoundly incompatible with your body. For the hyper-sensitive among us, this can prove to be a very challenging health predicament because dental materials in general are usually and conveniently overlooked by everyone. The human body has a very sophisticated and finely tuned bio-electrical grid underlying the entire physical organism. When the normal patterns of this subtle circuitry are short-circuited, it causes imperceptible dysfunctions and subtle energy impedance which will show up in a variety of ways. Each tooth sits on a different meridian pathway and functions in ways that are way beyond the scope of this session. Suffice to say, when you drop a metal implant into a space previously occupied by a living, natural tooth, everything changes and not in a good way. Your local acupuncturist can surely test your mouth before and after the surgeries to demonstrate this critical point. With the extraordinary proliferation of electro-pollution and the infinite number of vectors of EMR dissemination throughout modern society, teeth implants pose another very serious problem. Whether it’s stray voltage from a power transmission line or your laptop, whether it’s a cell phone tower or the microwave oven you forgot to remove from your kitchen, once you have a titanium post in your mouth you turn yourself into a veritable antenna. Not a good place to be in 2012, especially with all the chemtrails being laid down in the skies which are super-charged by HAARP. The more implants one has, the more one’s health can be adversely affected. Hopefully, you need no long dissertation as to why you don’t want to be a walking antenna for the rest of your life. The many proven physical ailments and newly emerging diseases from EMR exposure are growing by the day. And much of what occurs in the body of a deleterious nature is almost always below the radar. The Health Coach has even switched back to a plastic computer screen because of how much the metal one was acting as a conductor for unwanted EMR coming into the home both upline and downline from the local neighborhood electrical grid. The mouth, being the gateway of the body, receives all that we put into. Therefore, the mouth is essentially a test tube with a never-ending experiment going on. Everything from carbonated beverages to acidic vinegars, from spicy Thai food to citrusy lemons and oranges, from alcoholic drinks to caffeinated beverages, you name it we ingest it. Therefore, you can imagine how difficult it is to keep the mouth clean and free from bacteria which can cause problems … especially when they migrate into dental implant areas which have been profoundly undermined and now have metal against tissue. Herein lies the real vulnerability of the entire tooth implant procedure. If the implant is not seated extremely well, and if the gum tissue does not seal up well around the implant, the tooth socket will become a repository of bacteria. Once the same socket area has become sufficiently degraded in this way over time, it will then become a target for other types of pathogenic micro-organisms which will be extremely difficult to effectively address. Just like root canaled teeth, focal infections will eventually emerge and infect other parts of the body. This scenario can be further complicated by an individual’s eating habits. If they are prone to eating hard foods or chew with much impact, they can slowly create small spaces between the implant and the tooth socket. The older one gets the more difficult this situation is to repair in any meaningful way. 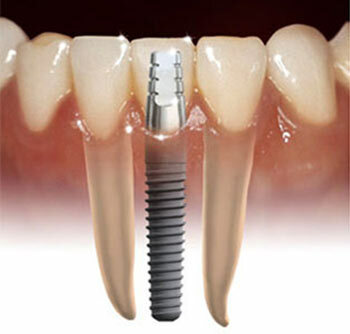 A second or third implant in the same tooth socket only increases the likelihood of this predicament and similar problems, as many have experienced. We appeal to your common sense here. Isn’t such a predicament just waiting for any one of a number of circumstances to conspire to create a hospitable environment for a full-blown infection to manifest? And when it does due to foreign material working its way down an improperly set implant, how on earth do you clean it out? How can you effectively address many of these infections which regularly occur in these vulnerable tooth sockets? 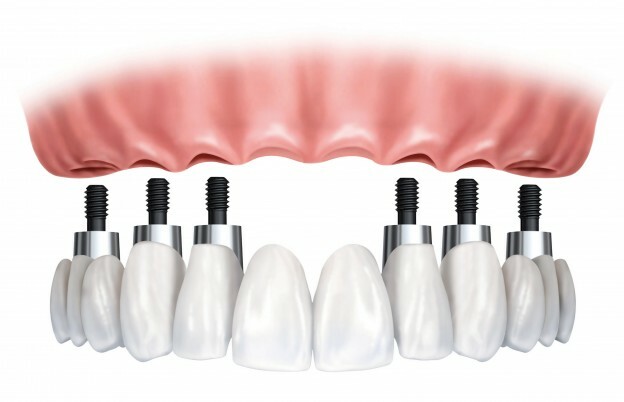 The latest and greatest to be touted in this field is the Zirconium tooth implant. Be aware that zirconium is still a metal – a transition metal – but nevertheless a metal. Transition metals are known to have high conductivity as seen in the following excerpt from. “Transition metals have giant metallic structure (with a ‘sea of delocalised electrons’ and metal cations). These delocalised electrons are not bound to a specific metal atom and are free to move around within the lattice structure, hence are able to act as electrical carriers which helps to explain transition metals’ high electrical conductivity. Decades of living with synthetic materials in my mouth and repeated restorative work [root canals, caps] due to a car accident, led me to research implants. Here’s what I found. CeraRoot implants are made from zirconia—a biocompatible, ceramic material that fosters complete assimilation into jaw bone. A recent microscopic study performed at the University of Minnesota confirmed optimal osseointegration of CeraRoot implants without any signs of inflammation or foreign body rejection. I was recently referred to an endodontist for surgery after x-rays showed infection at the site of a root canal tooth. No guarantee the infection would not return after surgically cleaning the root canal site prompted me to do my own research as follows. A close friend had osteonecrosis of the jaw bone, discovered only during excavation of a root canal site. The dental surgeon, using the specific protocol for root canal excavation, showed my friend black necrotic bone he had chipped away at the cavitation site. A relative just finished round 2 of antibiotics for an infected root canal tooth. Another friend has 2 abscessed root canal teeth unresponsive to natural healing for years. Root-canal and filled teeth harbor bacteria that morph into very toxic forms, which then can migrate to other tissues in your body and cause serious medical conditions, including diseases listed below. No other medical practice permits leaving a dead body part inside your body, because it triggers your immune system to attack. There is a symbiotic relationship between harmful bacteria at the site of a root canal, and chronic, degenerative disease in the body, including cancer. Every tooth is connected to a meridian in the body, and meridians connect to organs, glands, and joints. Harmful bacteria at the root canal site travel through a massive network of tiny tubules, and if the immune system is weak, the body can become diseased. Banned documentary on Netflix regarding the dangers of Root Canals. Watch while you can because censorship is rampant. As I watched the ‘Root Cause’ video about a young man’s long, desperate attempt to regain his health before the root cause was diagnosed as an infected root canal tooth, the video was disabled. Dental work can be very expensive, and people who invested heavily in their teeth may not like what they read about the root canal cover up. At least be aware of the facts if you have root canal teeth, and cross reference the interactive meridian tooth chart above if you don’t feel well or if you are diagnosed with disease. The Health Coach provides general health coaching and wellness counseling on a donation basis for all of the chronic autoimmune diseases, multi-infection syndromes and chronic degenerative diseases. Please inform others. Thank you. The medical establishment is literally cooking our children with ultrasound, boiling the blood, lymph, amniotic fluid, cerebrospinal fluid (that totally surrounds the brain), and more. Sadly, technologies we use in our daily lives like cell phones, cordless phones, wifi routers, baby monitors, microwave ovens, etc., are also cooking us from the inside out. Most of these technologies use 2.4 GHz frequency known to cause infertility, brain damage and that is used in microwave ovens because it maximizes the absorption of radiation in mammalian bodies. Hence, most of us are literally living inside of microwave ovens when we are surrounded by these technologies. It is imperative for people to learn the facts. Interview with Author Jeanice Barcelo on the release of her book (PDF) “THE DARK SIDE OF PRENATAL ULTRASOUND”, an expose’ on the harm and hazards of what we have all been led to believe was a harmless and beneficial technology … it is not. wifi and their cell phones, but they can’t shut off their UTILITY METERS which are terrorizing society with RF radiation, fire hazard, dirty electricity, and surveillance.Since 2011 we have been helping people make themselves safe and secure from utility meter trespass and utility company misconduct. Please share to inform others. Thank you.